You may have heard that the morning is the best time to work out. Sure, morning workouts are great. 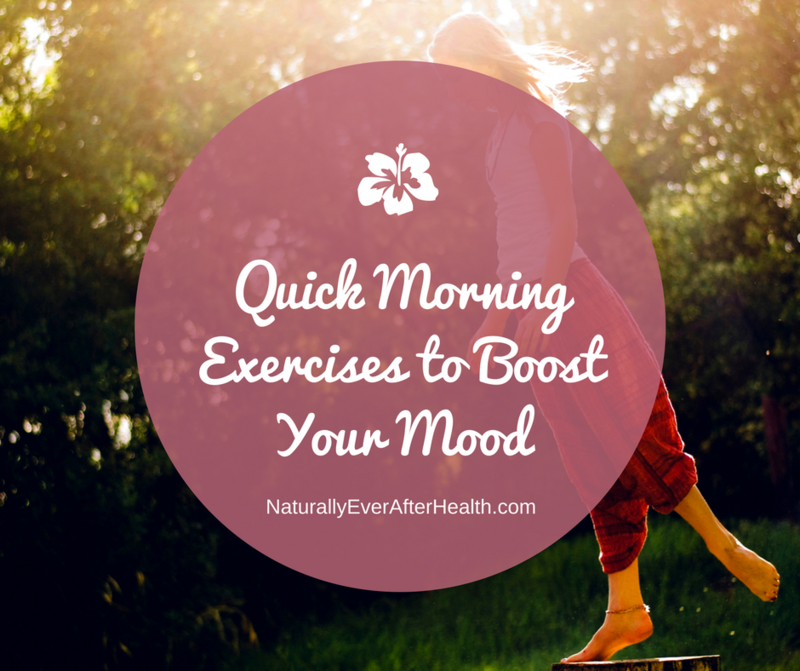 They can help you get in a healthy mindset and give you great energy for the day. But you don’t always need to put in an hour-long workout to reap those benefits. Why not? The mood-enhancement effect kicks in after only 5 minutes of moderate exercise. If you want to get in a great mood in the morning but don’t have the time for a full workout, simply moving your body for 5-10 minutes can do the trick. I still recommend making time for a regular workout wherever it fits in your day, but why force it in the morning if that doesn’t work for you? 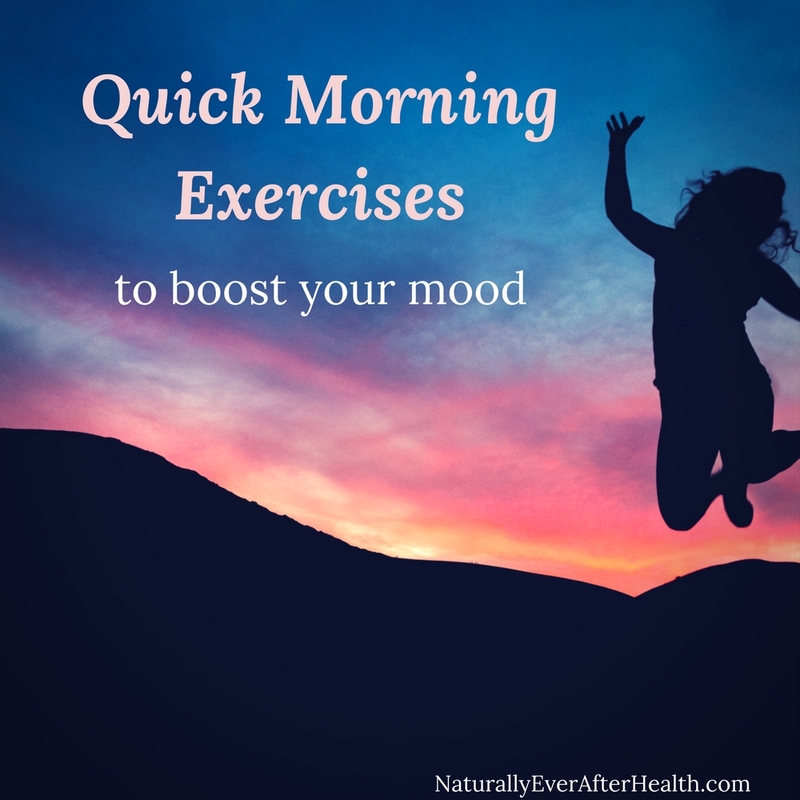 Instead, try some quick morning exercises for a positive energy boost. If you think 10 minutes of exercise isn’t worth it, you’re wrong. Here’s why. We see exercise as a way to lose weight. For most of us women, losing weight is the only benefit we associate with exercise. We also tend to view losing weight as a long, hard process, therefore we see exercise as a long, hard process. Exercise is good for so many other things. It’s not all about weight loss. Have you ever gone on a long walk and felt refreshed after? Do you ever feel amped up after a weight-lifting session? Exercise can make you feel a certain way no matter what you look like. Not all exercise has to be intended to improve your physical body image. Every day, aim to do some movement with the sole intention being to lift your mood. That kind of exercise should be something you enjoy. If your idea of exercise is stretching in middle of a corn field, so be it! 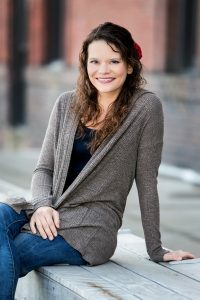 During my college years when I really struggled with my body image, I had an unhealthy relationship with exercise. It was never something I looked forward to. I viewed it as something I had to do to lose weight. I’d plan these long, hard workouts to do first thing in the morning. I’m talking 90-minute TaeBo sessions in my tiny little dorm room. Needless to say, I was not excited to wake up and do that. When that unhealthy mindset finally turned into depression, I certainly wasn’t getting out of bed to jump around for 90 minutes. If you are depressed or experiencing any sort of shame toward yourself, getting up and moving your body is essential to your healing process – but not necessarily forcing yourself to complete a high-intensity 90-minute workout. Your morning movement should be something you enjoy, something that feels good and natural to you. Keep it short, and understand the purpose of why you’re doing it. You’re not doing these quick morning exercises to lose weight. Rather, you’re doing them to naturally wake up your body without caffeine. You’re doing them to connect with your body, to nourish it and energize it. Be mindful of your movement. How does your body feel this morning? What feels good, and what’s feeling sore? Moving your body in this mindful way gives you a new perspective. Exercise isn’t all about losing weight, getting “skinny,” or whatever visual effect you may desire. 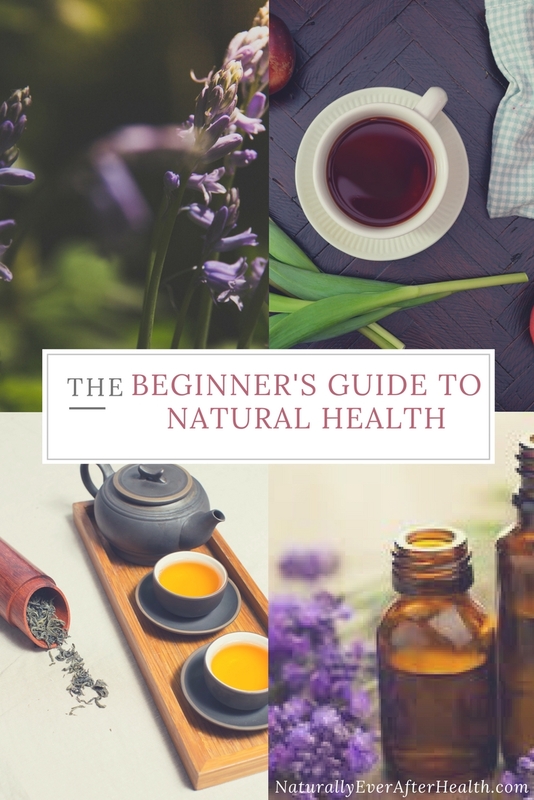 What’s more valuable to realize is that exercise is first and foremost meant to give your body internal benefits, like vitality, energy and strength. A little movement and exercise can help you process negativity and shake out any doubts you may experience when you wake up. These are a few exercises I personally love to help me wake up in the morning. Give them a try and see what you enjoy best. This classic yoga move is a great way to awaken your body. Sun salutations are a moving sequence of poses that warms up all of the major muscles. As you wake these muscles up, take note of what feels good and what may feel tight. A little yoga practice has been known to help people regain confidence and battle anxiety and depression. Start with 3 simple sun salutations, and work your way up to 5, 10 or more! Not sure how to do a sun salutation? Check out this video. Ten minutes a day of jumping is incredible for our bodies. Some days I like to start with about 50 jumping jacks, and I do this often throughout the day whenever I need a little boost. I’m working on Kyle to get a trampoline in our backyard, because, obviously, that would be awesome. I could jump so much higher! Do batches of 50-100 jumping jacks, or jump rope for a few minutes. Listen to an inspiring podcast while you’re jumping! Taking a few minutes to stretch is another way to energize your body. Your body has been still for 6-8 hours while you were sleeping. Loosen up your muscles and you’ll be more likely to want to keep moving rather than getting cozy on the couch. I like starting with a forward bend because I feel the tension drain out of my back. Forward bends make you turn inward, a great pose for connecting with yourself in the morning. Then I go through a series of stretches to increase my flexibility and get closer to my goal of doing the splits. Start by trying to touch your toes and hang there for a minute or so. For more, try these 4 stretches to improve your flexibility, and show me your progress on the splits! Yes, I’m serious. Put on your favorite upbeat song and just dance around! Nothing gets me in a better mood than dancing like an idiot to a really good tune. My dog likes to join in too, which gives me even more joy. I’ve been on a long kick with Justin Timberlake’s “Can’t Stop the Feeling.” What’s your go-to dancing song? In my perfect day, I would walk for about an hour every morning as the sun rises. There’s something so peaceful about getting out in the fresh air before the sun is fully out and the world is still pretty quiet. Walking outside is one of my favorite ways to reflect, brainstorm and just be. Of course, an hour in the morning is not for everyone. You can boost your mood from 10 minutes of brisk walking as well. See this time as a treat for yourself every morning, the ability to get outside and greet the world, shake out any thoughts and visualize the day ahead. 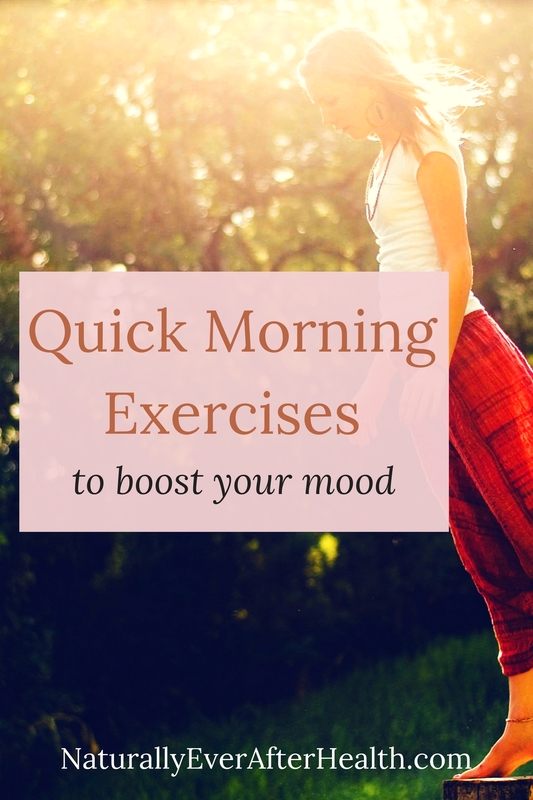 Moving your body in a simple, enjoyable way works wonders for boosting your mood first thing in the morning. Make an extra 5-10 minutes for yourself every morning to stretch, walk or dance to your favorite song. This time can give you more confidence and energy to handle whatever may come your way during the day. Treat it as your time. Keep it sacred, and don’t let anything get in the way of it. What kind of exercise do you like to do in the morning? Let me know by leaving a comment!